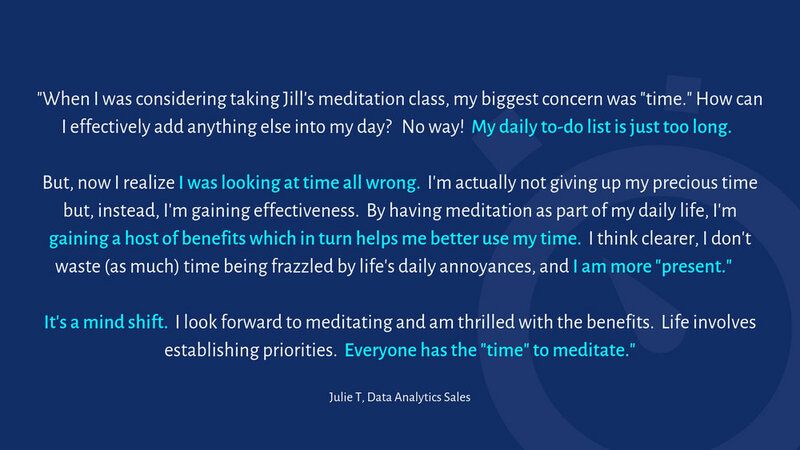 CONSCIOUS HEALTH MEDITATION WITH JILL? 1. Set up a free 30 minute private consultation by phone or in person (submission form located below). 2. Register for the 4-Part Course in Meditation during your private consultation. 4. Meditate with ease, without dependence on apps or guided visualizations, and watch your stresses melt away! Thank you for requesting a private consultation to discuss Conscious Health Meditation! We will contact you soon to set up your consultation appointment. We will be sending you 3 short videos over the next several days. These videos will tell you a bit about my own journey with Conscious Health Meditation, some of its benefits, more about the course structure, and the value you get for your course fee. Once you watch the videos, you will know the basics about CHM, and we will be able to focus the 1:1 session on YOU and how we can help you to meet your meditation goals (and spend less time talking about me!). If you do not receive the first video in the next 1-2 days, please check your spam/promotions folder since my emails like to hide out in there sometimes! If you have questions, you can email us at Jill@JillWener.com.